Come 2022 and the much awaited international airport in Jewar would be operational. At least that is what the Government's plan is. But the road to achieving this might not be a cake walk as the locals appear to be in no mood to settle for anything less than compensation as per market rate, jobs and business opportunities in lieu of their land. "Just compensating us with money will not be enough because 70% of the people here are illiterate. You give them money as compensation they will simply splurge and waste it on alcohol and maybe buy expensive cars. What we want is jobs for at least one member from each family. Only then will we feel that yes the airport has brought about some positive change and development for our village. Otherwise it is all waste for us. We stand to gain nothing," Dharmender, a resident of Kishorepur in Jewar said. Kishorepur is the place that has been identified by the Government as the location for the proposed airport. This tiny hamlet has about 500 families who would be impacted by the airport project. According to Dharmender, who is among the very few literates and runs a ration shop, a pall of gloom and doom has descended on the village as they are unsure of their future. Aware and conscious of their rights, the farmers too are demanding better compensation and facilities. "We want that farmers and locals are relocated in a planned manner, they should be given proper employment, compensation should be paid four times of what the market rate is, they should get all educational facilities and all commercial facilities for business. Usually what happens is whenever industry comes up or development happens the locals are always neglected. That we do not want and we wont let that happen. We are with the government but the government too has to take care of the locals and the farmers," Narsingh, Pal, a farmer and secretary of Bhartiya Kisan Union (Bhanu) said. As per the Government's plans, about 3,000 hectares would be required to build the airport at an estimated cost of Rs 20,000 crore. The airport will have a capacity to handle nearly 30-50 million passengers annually over the next 10-15 years. According to the compensation, resettlement and rehabilitation provisions under the Land Acquisition, Resettlement and Rehabilitation Act, compensation up to four times the market value in rural areas and twice the market value in urban areas is to be paid to those who are dependent on the land being acquired. Under the resettlement and rehabilitation provisions, land for a home as per the Indira Awas Yojana in rural areas or a constructed house of at least 50 square meters plinth in the urban areas, one time allowance of Rs 50,000 and mandatory employment in project development in rural sector or Rs 5 lakh or an inflation adjusted annuity of Rs 2,000 per month per family for 20 years is to be given in lieu of the land acquired. 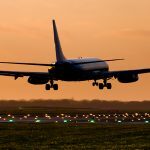 While the villagers are spending sleepless nights, the news of the airport has come as some light at the end of the tunnel for the real estate industry who has been going through some tough times. "The news about the upcoming Jewar airport is one of the best news for property markets in Noida and the adjoining areas. I foresee a lot of real estate development taking place here. 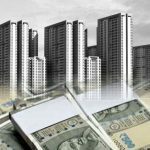 The coming up of the airport and the Delhi-Mumbai Industrial corridor too passing through these areas, both will have a huge impact," Rohit Raj Modi, Secretary, CREDAI National said. 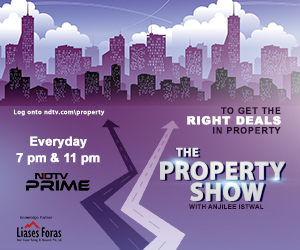 The property markets of Greater Noida, Noida and Ghaziabad are expected to reap the maximum benefits. And here is how these three markets of NCR been doing in the past couple of years. 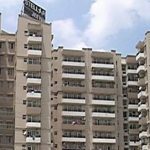 According to data from Liases Foras, the real estate research and consultancy firm, Greater Noida has an unsold stock of about 98,778 units in the 238 housing projects, followed by Ghaziabad with about 46,961 units in 170 housing projects and Noida has about 36,411 unsold units in 139 housing projects. But with the airport coming up, things are set to change provided the government is able to meet the demands of the project affected families and complete the project on time. mfklxmlz,Thanks for ones marvelous posting! I actually enjoyed reading it, you will be a great author.I will always bookmark your blog and will ludcgcmp,come back from now on. I want to encourage that you continue your great writing, have a nice afternoon! cagbesayvv,Thanks for sharing such an amazing blog. I am so happy found this informative blog. igpzpqgta,This website truly has alll of the information and facts I wanted about this subject and didn?t know who to ask. eslkjlj,Wonderful one thank you so much ! nqtnxrllrl,If you are going for best contents like I do, just go to see this web page daily because it offers quality contents, thanks! rqiphddzi,Your blog was informative and valuable to me. Thanks for sharing. lljjjjalpcl,Some really nice stuff on this website, I enjoy it. trsnqwnll,If you are going for best contents like I do, just go to see this web page daily because it offers quality contents, thanks! Hello, i think that i saw you visited my site thus i came to “return the favor”.I’m attempting to find things to enhance my web site!I guess its ok to use some of your ideas!! fantastic post, very informative. I’m wondering why the opposite experts of this sector do not realize this. You must proceed your writing. I am sure, you’ve a great readers’ base already! uyubxw,Definitely believe that which you said. Your favourite justification appeared to be on the net the simplest thing to remember of. lbyiwtuhoue,Some really nice stuff on this website, I enjoy it. I just wanted to compose a quick remark in order to thank you for these wonderful secrets you are giving out at this website. My time-consuming internet investigation has at the end of the day been compensated with wonderful content to exchange with my family and friends. I ‘d state that that most of us site visitors are extremely lucky to dwell in a fantastic community with so many perfect professionals with very helpful opinions. I feel really fortunate to have encountered the web pages and look forward to so many more excellent moments reading here. Thank you once more for all the details. mfktsn,Some really nice stuff on this website, I enjoy it. glxgtxhrz,If you have any struggle to download KineMaster for PC just visit this site. eqbhto,Your blog was informative and valuable to me. Thanks for sharing. kpqzwo Yeezy 350,Hi there, just wanted to say, I liked this article. It was helpful. Keep on posting! upvvnqxvjn,If you want a hassle free movies downloading then you must need an app like showbox which may provide best ever user friendly interface. sgvwerb Yeezy Shoes,If you want a hassle free movies downloading then you must need an app like showbox which may provide best ever user friendly interface. vmbybzzrdw,If you want a hassle free movies downloading then you must need an app like showbox which may provide best ever user friendly interface.